Teachers have told us that this is one of the most valuable resources they've found for dealing with bullying. We agree. Within moments of picking this book up a teacher or administrator can start making a difference. The ideas are practical, easy to implement, and presented in a way that helps promise success. The CD-ROM makes it easier to print handouts and the included PowerPoint presentation can be customized depending on the audience. Free Spirit has done it again! 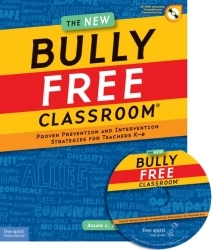 The New Bully Free Classroom makes it easier than ever to stop and prevent bullying. With this book, educators can help build a sense of belonging in all students and create a peaceful, caring classroom. Readers will find support for teachers, counselors, and supervisors, including a ready-to-use PowerPoint presentation for preservice and in-service training. The CD-ROM includes all reproducible forms, surveys, handouts, and letters to parents and caregivers found in the book, including several bonus handouts geared for the youngest students. 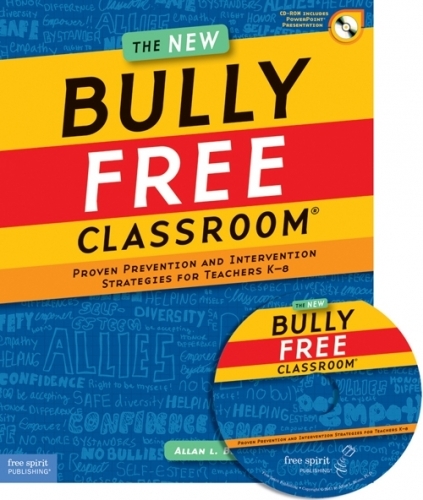 The New Bully Free Classroom is an excellent stand-alone resource that can also complement and support larger initiatives for bullying prevention and response, such as Responsive Classroom, the Olweus Program, Second Step, and other models. Allan L. Beane, Ph.D., is a former classroom teacher and university administrator. He develops bully prevention programs for schools and is a highly sought-after speaker on the topic. He has presented keynote addresses, presentations, and workshops to school districts, organizations, colleges, students, parents, medical personnel, and law enforcement officers throughout the United States. His down-to-earth speaking style, inspirational stories, and practical strategies appeal to audiences everywhere. He also offers expert support to those who deal with school violence. Dr. Beane and materials from his books have been featured in national publications such as Time for Kids, Newsweek for Teens, USA Today, the Washington Post, the Boston Sunday Globe, and several other national magazines and journals. He and his wife live in Murray, Kentucky.